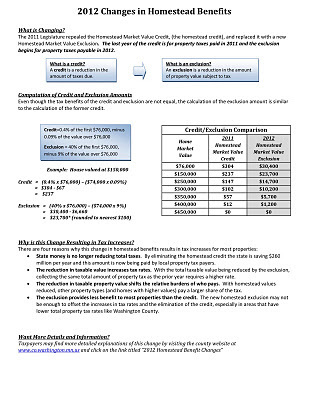 RE/MAX Results: Homestead Benefits Changed - So What Does it Mean? Homestead Benefits Changed - So What Does it Mean? I found this explanation on a county website in MN of how the homestead tax will be calculated in 2012. 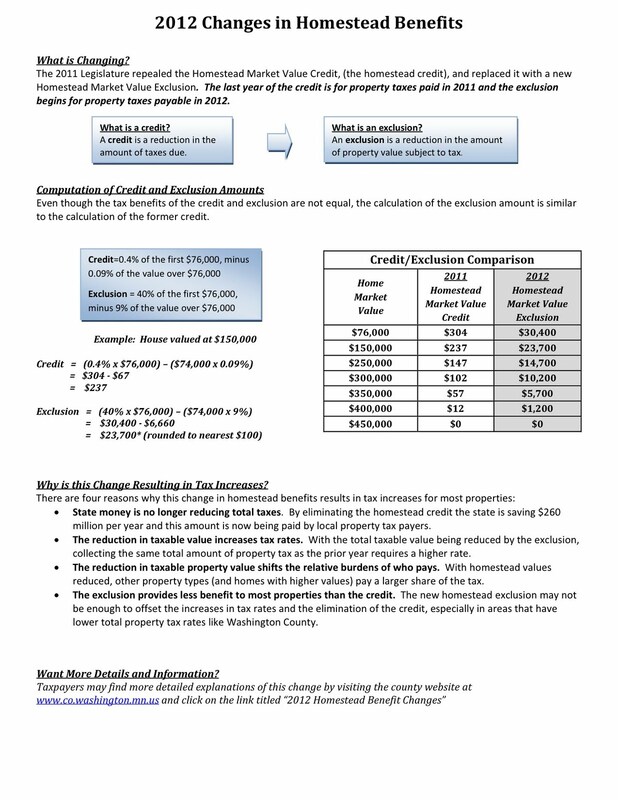 It's a fascinating change - instead of a "credit", if you homestead a property in MN, a formula is used to reduce your home's value for tax purposes. The Hennepin County website is starting to post the value changes, so if you look up your property on the Hennepin County website, and click on Current Year Taxes, you should see the value for 2011 payable in 2012, and it will show you the "reduction" in the tax value is you are claiming the property as homestead. It's a little confusing - but in the end, there are still benefits to homesteading your property. If you have questions, call your county's assessor's office for more information.